I didn’t welcome yoga into my life with open arms. My aunt Marlene suggested I give it a shot to reduce stress and bring me back into balance. I didn’t want to do yoga. In my mind, yoga was for women in bright spandex, not for military guys who compete in Taekwondo. A part of me came kicking and screaming to my first class. But I gave yoga a chance to work – and it did. I couldn’t have imagined I’d ever have a daily yoga practice, or teach yoga, but that’s what eventually happened. If I hadn’t followed Marlene’s advice, I don’t think I would have found balance, or reduced my own pain, suffering, stress, and anxiety. I would not have learned how powerful a life-changing force yoga can be. I would not have found an effective set of tools I could share with fellow veterans and others suffering needlessly. And although national and international magazine covers month after month, year after year, would continue to have you believe yoga is just for young model-fit women wrapped in shiny spandex – it’s not. Today I am grateful to practice and teach yoga. 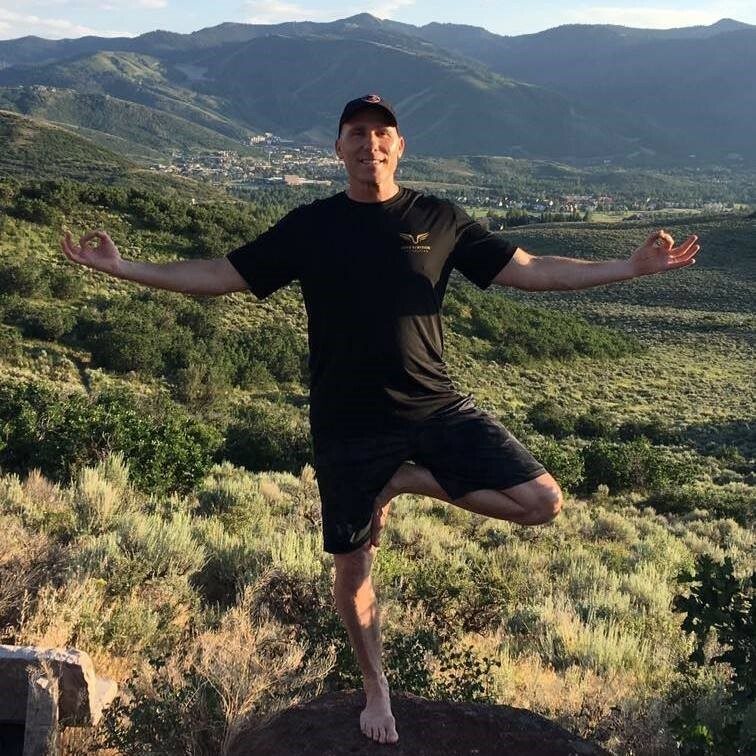 And even more so, to teach health, wellness and resilience techniques to veterans and their families – all based on yoga. I teach private classes and group classes at Golds Gym’s throughout San Antonio, at Loma De Vida Spa & Wellness at La Cantera Resort, at Kelly Fitness Center – Joint Base San Antonio, and for LSF at the retreats. I also have the honor of serving as the Health, Wellness and Resilience Program Coordinator for LSF. These are all great opportunities to hold space and share the practice of yoga, and in doing so, deepen my understanding of this ancient gift. When we share the gift of yoga with each other in this way, we share human kindness. My first LSF retreat was for couples 11-15 Feb 2016. I’ve had the honor of serving as part of the LSF team at 17 retreats since then. Each one is special to me. They all are opportunities to hold space and share the practice of yoga with no demands, no judgement, and no expectations. Yoga is just one of the powerful and effective modalities offered at the LSF retreats. Counseling, Accelerated Resolution Therapy, Equine Therapy, and Neurofeedback have all proven their value as well. Then there’s the amazing Southern home cooking, the beautiful beach house, and the beach itself bringing comfort, rest, and beauty to the healing process. LSF leadership and staff are phenomenal hand-picked professionals. It is truly an honor and pleasure to serve with them as part of the retreat team. The LSF retreat team works together, the modalities work together, healing happens in front of you, it heals you too. And seeing a little less suffering in someone else’s life brings a little bit of joy to your own. Ken also serves as the Deputy Director of Regions, and South Central Region Director for Veterans Yoga Project. He teaches classes and workshops through several other veterans’ support organizations in Texas. In addition to teaching, he assists organizations and businesses with yoga program design and development. He is a member of the Yoga Alliance, Himalayan Institute, and Yoga Health Foundation. 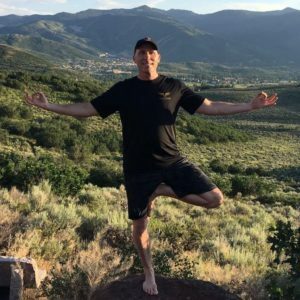 With over 1000 teaching hours to his credit, Ken is an Experienced – Registered Yoga Teacher (E-RYT) through the Yoga Alliance and also a Yoga Alliance Continuing Education Provider (YACEP). He also holds a Primary Group Fitness Instructor certification through the National Academy of Sports Medicine and Athletics and Fitness Association of America. He retired in 2013 from the United States Air Force where he served assignments on the Joint Staff, in Space Operations, Special Operations, and in Cyber Operations. Ken also served twice as a Squadron Commander supporting combat operations in Kuwait, Iraq, and Afghanistan during Operation Iraqi Freedom and Operation Enduring Freedom.